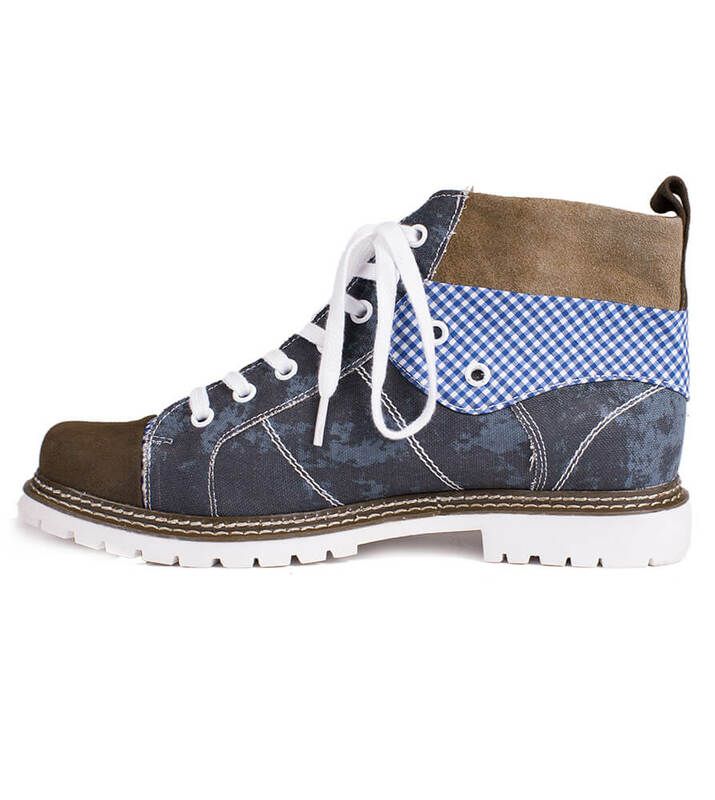 Joshua men’s blue and brown boots. 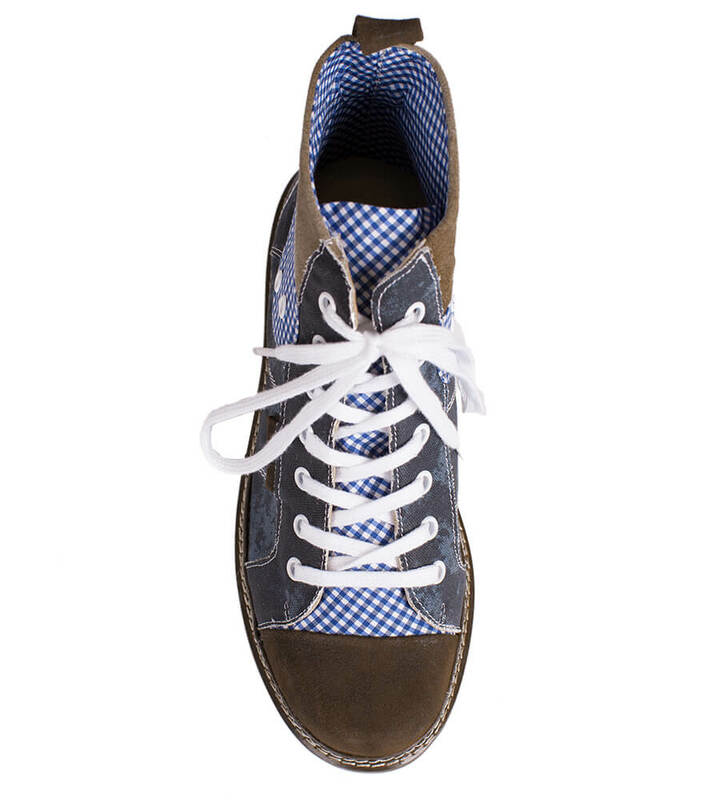 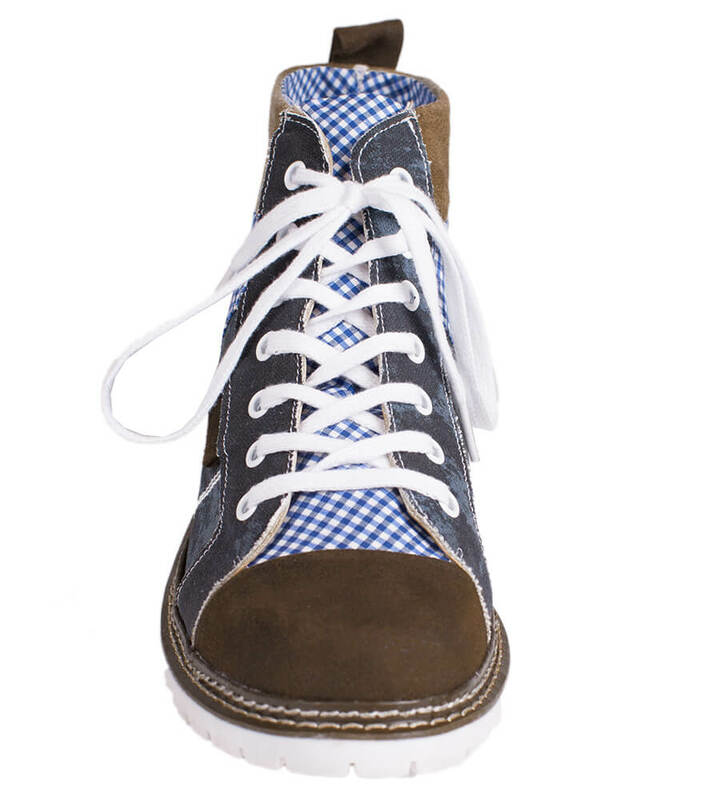 These bold blue leather boots are given a unique touch of style by the brown toes and blue-and-white chequered patterns on the sides, and they are just waiting to come out and play at an event such as Oktoberfest. 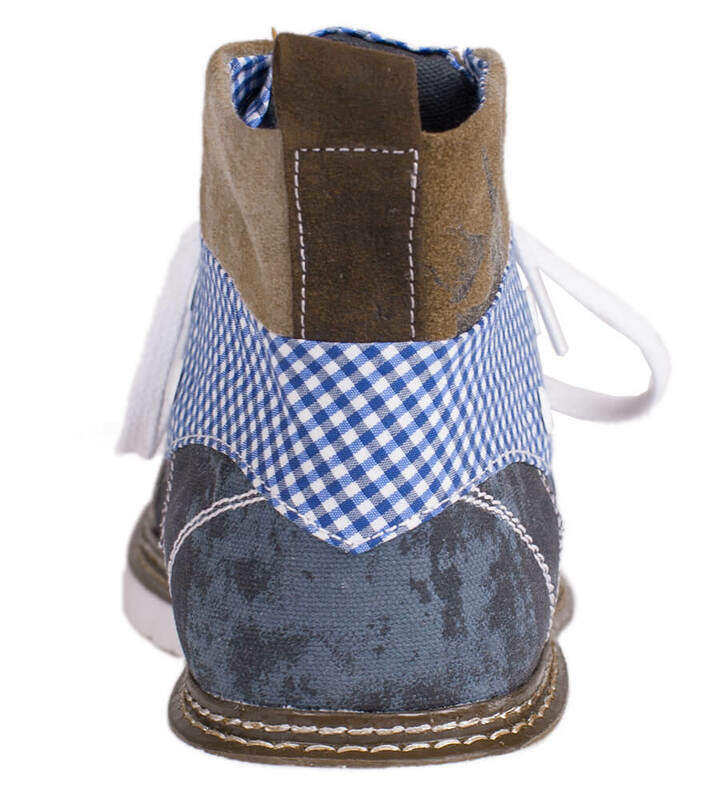 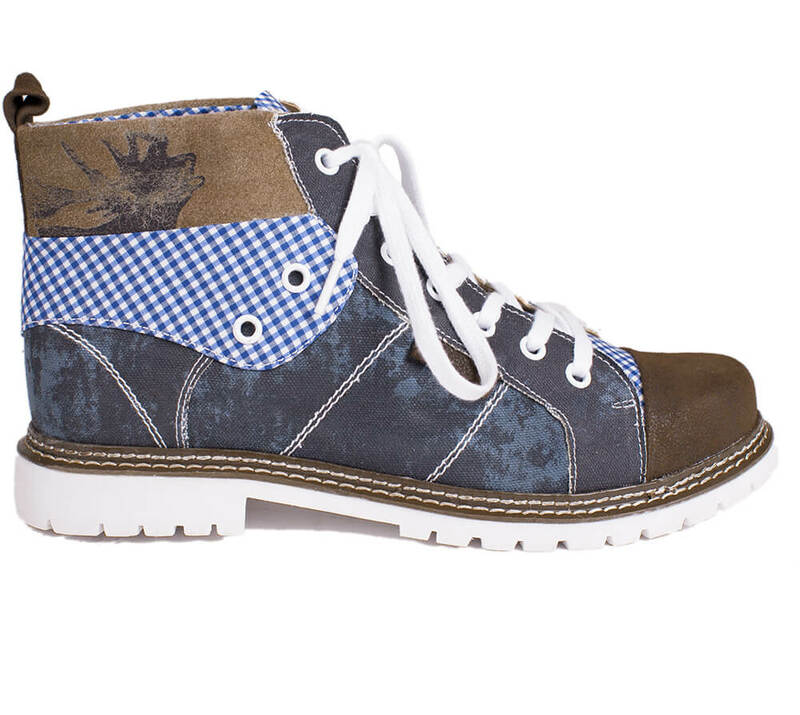 The sides of the boots also boast a traditional Bavarian stag-head design.